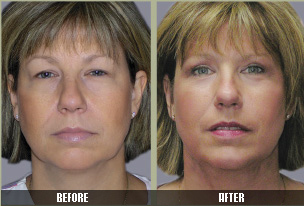 Problem: Patient wanted more balanced facial features. 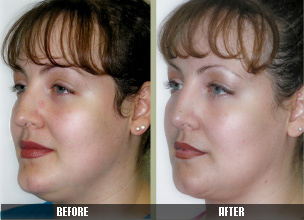 Solution: Cervicoplasty & chin reduction. Problem: Double chin & rounded face. 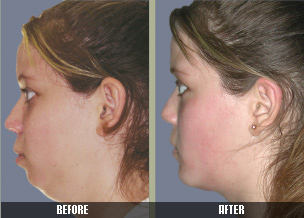 Solution: Necklift, cheek fat pad removal & chin advancement with implant. 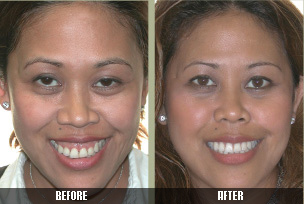 Problem: Gummy smile & protrusion of the eyes. Solution: Lower the lip line & cheek implants. 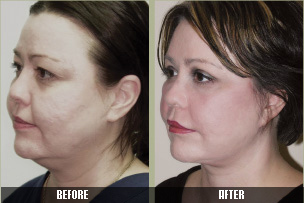 Problem: Acne scarring & patient looks older & more tired than she feels. 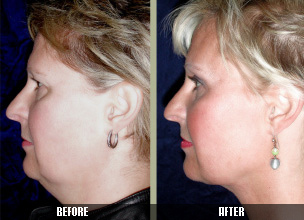 Solution: Laser Treatment, endoscopic browlift, deeper plane facelift & necklift. Problem: Drooping tired eyes, drooping midface & neck. 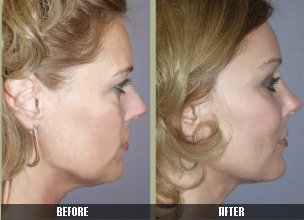 Solution: Endoscopic browlift, endoscopic midfacelift & necklift. Problem: Patient looks older & more tired than she feels. Problem: Tired eyes & sagging neck.